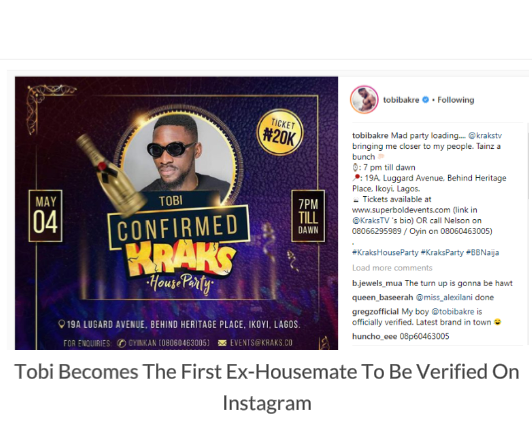 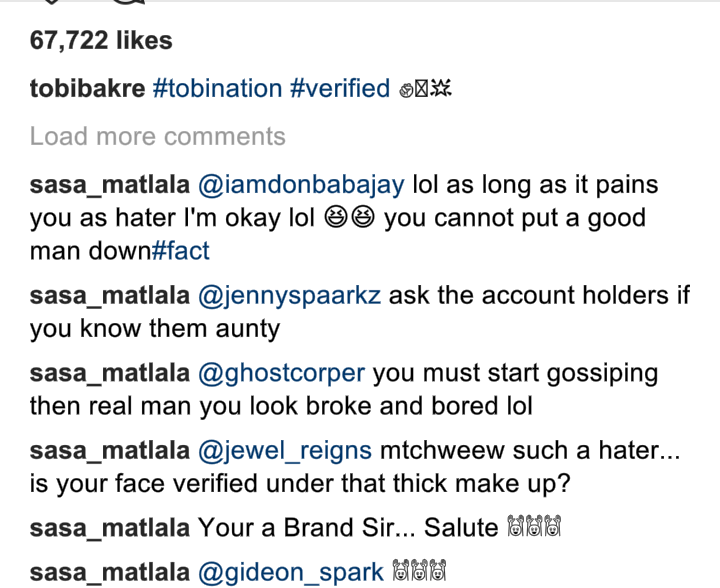 Tobi who is the second runner up of the 2018 BBNaija reality tv show has become the first ex-housemate to be verified on Instagram. 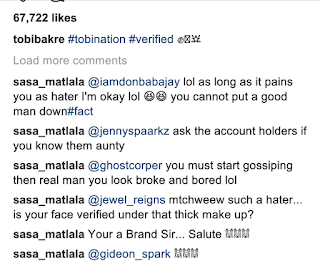 A verified badge is a check that appears next to an Instagram account's name in search and on the profile. 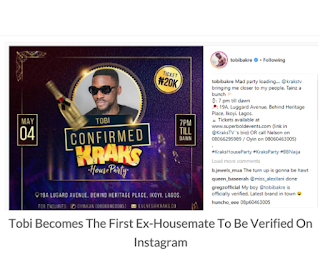 It means that Instagram has confirmed that this is the authentic account for the public figure, celebrity or global brand it represents because they have a high likelihood of being impersonated. 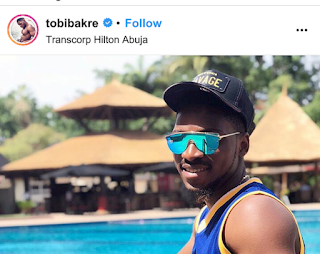 With Miracle being the housemate having the highest number of followers, and Tobi being the housemate with the second highest number of followers, fans have taken to the platform to congratulate the duo.